I love rustic furniture (let’s face it, I love all furniture). Some friends gave me a rustic-style bench for our entry way a few years ago. It’s perfect for the space. I love the grain of the wood, the color, it’s perfect. But since my hope is that people will actually sit on it from time to time, I determined it needed a little padding. 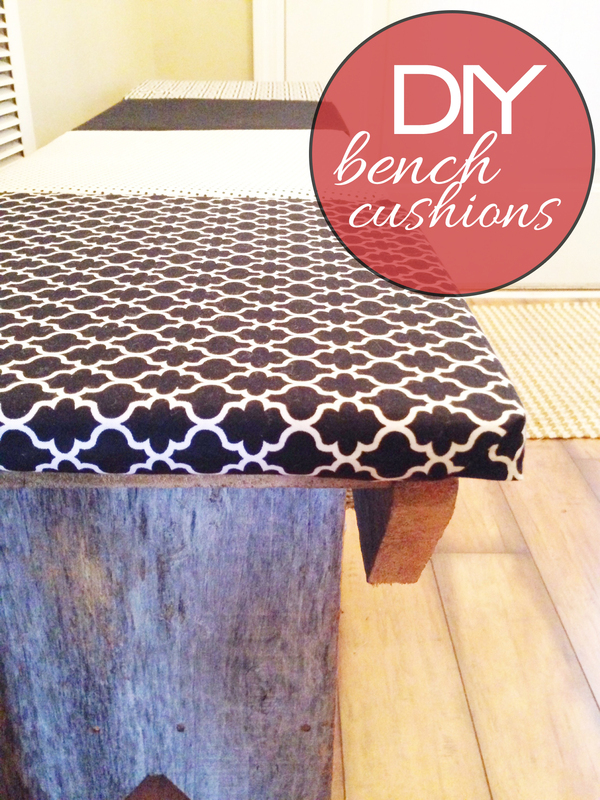 Since I don’t sew (as you know from my recent post on diy no sew pillows, which you can see here), I needed another method for which to create some cushions for this awesome bench. They were super easy to make. I purchased some poly form chair pads from Hobby Lobby so that the cushions would be flat (they’re just $1.99 a piece at the Hob!). Then, using a similar method as wrapping presents, I folded the fabric over the pads and used my hot glue gun to finish off the sides so they’d stay in place. I chose four different fabrics that complimented one another. Once I was finished glueing all of the fabric in place, I arranged the cushions on the bench in a way that I thought looked the best. Tada! No more soar bottoms. Even our cute little pup Oliver likes them. I love these! The fabric is amazing! Where did you get that type of fabric? The options seem to be pretty slim here in Aus. Thanks Madeleine! The fabric is from a store called Joann and you can go online to order fabric at http://www.joann.com. Search for fret, quatrefoil, and polka dot fabric. They have a ton of great fabric prints! I was looking for something like this because I was drawing up the plans for my son’s playroom and wanted a DIY cushion instead of paying almost $100 or on! Thanks! Stopping by from #SITSSharefest. That’s great, Jade! Yes, it’s super affordable and then you get exactly what you want! Thanks for coming by! That’s such a great idea, Julie! I’d love to see your pallet benches! 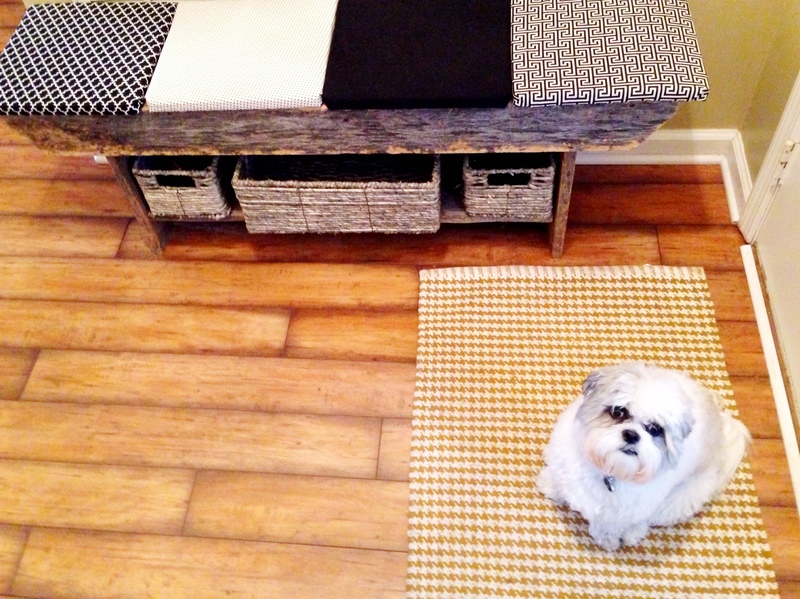 I love furniture made with pallets! How fun that you used a collection of fabrics. so festive and unexpected. Perfect…..
Hi Ronda! I love these cushions and the fabric is beautiful! Visiting from Uncommon Designs – thank you for sharing and hope you have a wonderful day! Great choice of fabric! Love this! Great choice on the fabrics, they complement each other well. I was wondering why you chose to glue them instead of stitching them. Is it harder to stitch now that it’s wrapped around polyurethane foam? Hi Aubrey! Thanks for popping in! 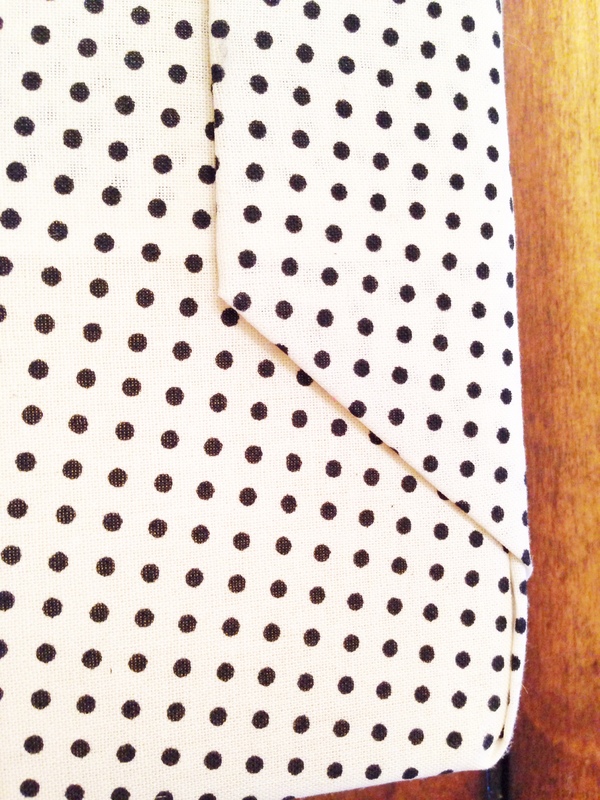 I glued simply because I haven’t yet mastered the stitching method for sewing a pillow. :) I just got my own sewing machine, though, so I’m excited to try it for my next cushions for our outdoor patio! Have a lovely day!